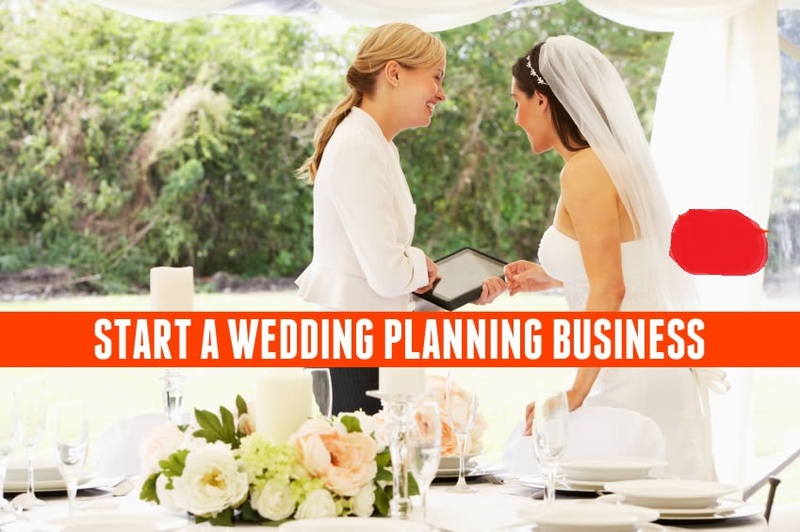 How to Start a Wedding Planning Business? 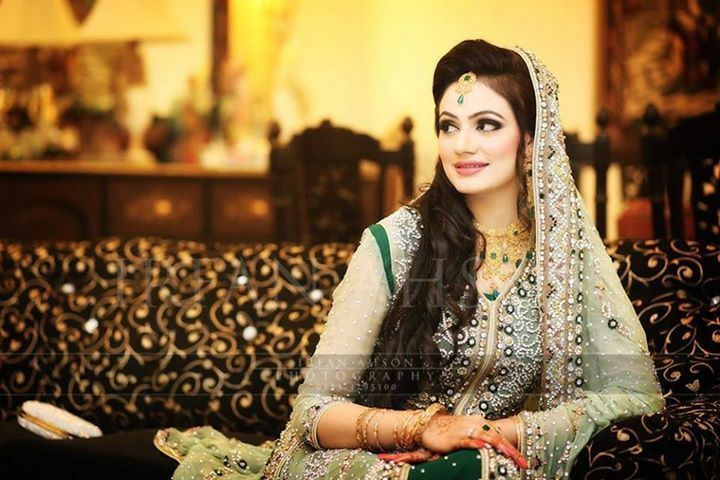 There are no second thoughts in the fact that wedding planning is a really exciting field. But, just like any other career, wedding planning isn’t like eating a piece of cake either. And if you are planning to start a business of your own, you should definitely be having a well-sorted plan and some really strong business acumens along with the passion to create weddings beautiful. Of course, you can straight away jump to having your own business, but it will be more beneficial if you have some experience and get some contacts as an on-site coordinator before you start an enterprise of your own. Learning about the details of wedding business by being an employee to somebody else is a great way to start your journey in this industry. Fortunately, starting a wedding planning business would not require you to invest a lot in the beginning. Since you have the option to meet your clients at their place or somewhere out, you would not necessarily require an office space. All you would need to spend on in the beginning would include your attorney cost (to get your business legally registered and prepare a contract that you would be getting signing by your clients) along with basic office supplies and marketing. Without a business goal, you can easily lose track of your business. Make sure that you have set an average figure for yourself that you aim to earn by the end of the first year (consider the market prices to have a better idea) and work on improving those numbers. Also, remember to have some personal goals. Since you are new in the business, make sure that you are focusing on learning every aspect in detail before you aim to gain perfection. Word-of-mouth is undoubtedly the most resulting marketing tool when it comes to wedding planning business. However, other than that an online portfolio of your work would get you quite a lot of customers. You can get a photoshoot for a mock wedding. Use this as an opportunity to work with the local vendors and you can provide them referrals in exchange. Also, make sure that this mock wedding depicts your ability to give attention to details and your familiarity with the latest trends. Now this is one of the biggest challenges that you are going to face as a wedding planner, because once you have at least one successful wedding on your portfolio, you will be getting more offers without much effort. Begin by sending out personal mails to all the newly engaged couples in your locality or ask your friends if anybody is getting married in their circles. Offer your first few clients some serious discounts so that they would give you the opportunities. Also Read: How to Make Your Entry Even More Shaandaar! Consider a relevant degree or certification, in case you do not already have one. In fact, a degree in hospitality will also be useful and reliable for your clients when you are getting into event planning. Additionally, you can get short-term certifications from the approved organizations that are in the same business. These education and prior experience certifications would help you in gaining the trust of your clients in the beginning as it would make them believe that you have knowledge of your work. Remember! In the beginning of your venture, you will have to wear many hats. You will be playing a wedding planner, marketing director, accountant and customer service specialist all at the same time. But once you have successful events in your kitty, you will be growing and expanding. Deciding the guest list for wedding is one of the most stressing parts of wedding planning and you need to get done with this task by the earliest also because without having a finalized guest list, you cannot just move ahead with the preparations. From deciding the venue and placing order with caterers to sending out invitation cards for printing and finalizing the thank you gifts for your guests – nothing can be done unless you know how many people would be attending your wedding. And this brings the biggest dilemma ever – whom to invite and who can be missed out of the list without feeling guilty? Do not worry! You are not the only one who face the difficulty in preparing the guest list. We know the group of ‘friends’ you are doubtful about and we have some fair solutions for you to manage them. Giving plus-ones to your single guests might sound like a nice gesture, but why should you be inviting your friend’s latest fling when you know that they might not even stay for longer. Some of your friends might be expecting to attend your wedding with their companions, whom you don’t know so it is going to be quite surprising for them to know that they are invited alone (without any plus-ones). There are chances that they might even refuse to attend your wedding. Guild-Free Solution: It is completely fair on your part to not invite the people whom you are not acquainted with. But keep one exception (for emergencies) – let the guests who would not be knowing anybody else bring someone along so that they have a partner to talk to and spend time with because you would obviously be busy in the ceremonies. Both of you can easily have a list of at least 50 co-workers whom you would have to invite. And you cannot miss out even one because they are already talking about how much fun they are going to have together at your special day. And of course, how can you not invite your boss if everybody else is coming? That would just mean having to listen about it at the work each day for the next 3-4 months at least (and who knows? Maybe, he will even shorten your leave). Guilt-Free Solution: Rather than having to go through the difficult talk of picking a few work friends among those 50-60 people who are expecting an invitation card, hold a party separately just for your office people. Tell them that your wedding is just going to be a small affair with close friends and relatives and hold a reception for them later. Or, just keep your wedding date on a working day. Now, all of them can’t take a leave at once to attend your wedding. Right? You have to be very careful about handling the guests whom you are planning not to invite because as soon as your wedding is fixed, everybody would be expecting and making plans to attend it. You don’t want anybody to feel bad while you are celebrating the happiest day of your life. Try and reason them out by blaming it on the restriction of your venue, and treat them later. It’s time for wedding bells to ring in your life? Well, choosing a compatible partner is something that you would have to see for yourself, we might not be able to help you there. But, we can certainly help you with finding a well-suited wedding planner for you because they are the ones who are going to be there with you at each step of your big day’s preparations. So, when you are calling up the wedding planners for an interview, you should be having a detailed conversation with them in order to be able to choose the best one for you. In fact, a good wedding planner would have many questions to ask you also as they would like to figure out your scope of imagination, budget, requirements, wishes and level of maintenance. Just remember! Whomever you choose, don’t go with somebody who is not open to listening to your ideas, tries to convince you about what they think is best, won’t sign an agreement, has no references to provide or just doesn’t seem to get along with your nature. Keeping that in consideration, we have listed down some questions (and the answers you should watch out for) while you are having the first conversation with wedding planners. 1. Are They Available on Your Wedding Date? There is just no point in going ahead with any conversation or planning if they are already booked for the date you are getting married. However, if you really wish for work with a particular wedding planner (whose work you have seen previously and really liked it) then you can discuss out the prospective options with them before finalizing on a date. 2. How Much Does Their Planned Weddings Cost on an Average? You should know the price range they work in and if they have a minimum budget to figure out if that would work for you. And in case you don’t have a budget yet, this would help you figure out what your budget should be. Though it’s good with be a bit flexible with your budget, do not go way above your limit. You would always find plenty of more choices among good planners who would be willing to work within your budget. 3. What Kind of Services Do They Offer? Do they offer full time service designing or are they more of the day coordinators type who brings in other event organizers? And if they provide both, then what is their specialty? 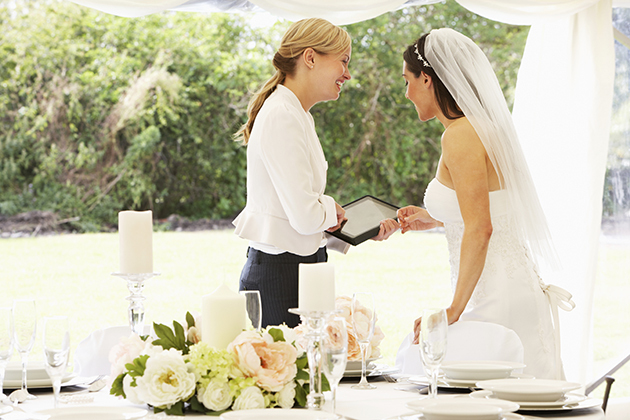 You need to be clear with what role your wedding planner would be planning in the entire process. Once you know how much help you are going to get from your planner, you would be able to decide how much of your involvement would be required at various steps. These are the top 3 questions that you should be asking them before going ahead with the interview further. Whatever you ask them after this would just be expanding the understanding between you and the wedding planner. Just do not forget ask them to provide you some portfolios and references of their past clients so that you can contact them to know about how their work turned out to be in past. All those people who have been engaged would understand how stressing it could be to plan the wedding events. From finalizing the venue that would accommodate your plans and the guests to searching for the vendors whom you can trust and who would provide you the services within your budget – the list of what you need to organize a perfect wedding just goes on. Well, the best way to save yourself from all the anxiety and actually enjoy your courtship period and wedding is to hire a wedding planner. Trust us when we say this but there is a higher possibility of something going wrong on the wedding day or you missing out something important to be arranged till the last moment. How will you ensure that everything is double checked and there is a person available on the day to handle everything around when you are on the center stage and your relatives are enjoying the event? Well, you would certainly appreciate having enough time at hand to make the arrangements properly and a person delicately looking after everything at that point. Owner of P5Creations in Jaipur Rajasthan India, a Wedding planners in Jaipur has helped countless couples plan their wedding day since 2011. Here I break down the 10 things that P5Creations advise their clients never to do. 1. As a wedding planner they advise to all bride that don’t invite more guests that you can afford to have accept your invitations. 2. Don’t ask for gift from your invitation list to get more gift that’s called a “gift Grab” instead you can send announcements. 3. Don’t hire or start interviewing vendors on your own if you are using the wedding planning services from wedding planners. Because most planners have preferred vendors. 4. Do not send anyone else as a mediator to consult with planner because you are too busy. 5. After hiring a wedding planner never shop for you any welcome bags, favors and décor whenever you see something you like. That staff doesn’t match with the theme and décor that a planner will arrange. 6. Don’t let the bridesmaids to select their own wedding dresses, instead you can tell them ask your wedding planner for guidance to ensure all of them look cohesive in photos. Choose a same color dresses and style. 7. Don’t give wedding party gift to all. 8. Do not forgot about writing the names of your gifts. Some brides and grooms skip it in hopes of getting cash gifts — and nobody is fooled. It's extremely bad etiquette. 9. Don’t invite more wedding guests to more than one events. It looks like a gift grab. 10. Don't put off all the things your wedding planner told you to get done in the first three months of planning. 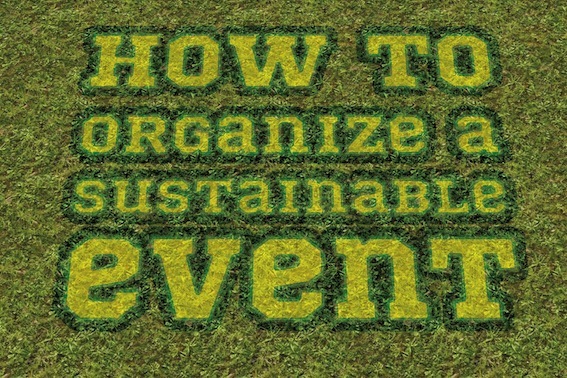 Is it seriously tough to organize a sustainable event? Do we have to start thinking about environment, but are you afraid that you will spend more to waste less? A traditional event has a significant negative impact on the environment and on the local communities. From a single event garbage, energy consumption, transportation of guests and materials, these are some of the ‘polluting consequences’ which were generated. A sustainable event is planned, organized and managed in such a way which allows minimizing the environmental impact throughout the lifetime. So, what is sustainable event? A sustainable event is an event which is organized and designed in such a way that minimizes the potential negative impacts and leaves an essential settlement for the host community and all others who are involved. If you are considering sustainable event that your main concern not only to minimize the negative impacts but also given the tips to large number of stakeholders involved, influence and inspire them to adopt sustainably. What should be the main aspects taken into account when you are planning for eco-friendly and sustainable event? The main point to consider why you want to organize a sustainable event. A good and deep-understanding of your goals will definitely help you during the development phase. Your choice should be related with the brand image which you want to transmit. Which story do your brand material tell? Everything which you provide to your guests will showcase the brand image of product. Building a sustainability in you brand is not hard, just consider those materials, and how they are going to provide value to you and to your guests- consider their end of life solution. If you seriously care about environment, and want to educate people to respect the environment, firstly encourage them to behave properly. Promotes separates waste collection, spread the information of substantiality by using brochures, fillers, and affix signs with few simple rules. The respect and caring of environment can even start before the event. Use waste and recycled papers for the promotions of your leaflets. Do online marketing activities like drop a mail, use Facebook or Twitter to encourage people more for using the ‘green energy’ and distribute eco-friendly gadgets which made of natural material. And for the catering use small restaurants or family companies which also offer bio products. Make sure helping the environment is not good for a single person but it is good for everyone. Try to reduce the quantity of food and packaging waste, do separate waste collection, just remember to have a different vegetarian corner and use recyclable and bio-degradable cutlery and plates. Leaders will lead- large MNC`s has include sustainability as the key requirements for entering into commercial agreements and serving a good example for the global business community. All the mega events will be sustainable, and the event management company which is going to lead it, also follow the terms and conditions of compliance and substantiality. Technology- technological solutions, digital services and mobile apps have completely eliminated the paper needs. Holographic meeting stat happening at a common place, reducing the carbon emissions associated with travel and opening up meetings to those who would otherwise have been unable to attend. Sustainability and Food- the demands for the locally-produced, organic, fair trade has grown up in the events industry. Hopefully this growth in demand will reduce the prices and increase supply, helping implement sustainability criteria during events. Material and Waste management- clients want sustainable, certified materials and waste-management specifications. The left materials in events will take into consideration and send to those bio-degradable industries. These are few ways to generate awareness in people for environment and start implementing sustainable events. We are best Event Planner and Wedding Planner in Jaipur. 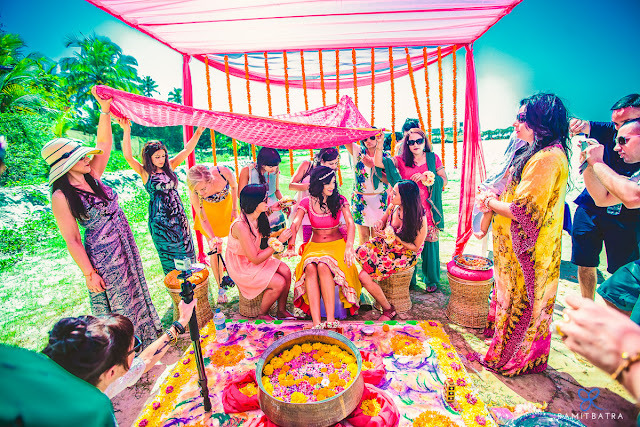 Love to share blog post on Event Management, Weddings, Fashion and Bollywood Wedding Gossips.